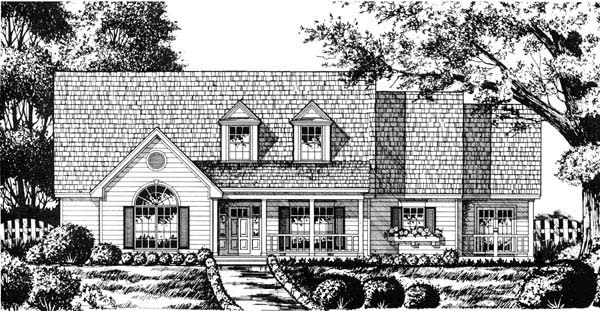 This beatitful country home with covered porches and wood columns will stand out in any neighborhood. The large living rom with a see thru fireplace makes a perfect place to entertain. The cozy family room with its see thru fireplace is the perfect place for family gatherings. The kitchen boasts a convenient serving bar and a boxed window. The kitchen has quick access to either the formal dining rom or the breakfast nook. The master suite features a vaulted 10ft ceiling, large windows, and leads to the elegant master bath. The three additional bedrooms feature large closets and easy acces to nearby bath rooms.